(RED OAK) – Texas State Technical College in North Texas celebrated its first Commencement on Monday, August. 20 as graduates walked the stage in the presence of their family and friends. TSTC Chancellor Mike Reeser was the keynote speaker at the ceremony. He urged the students to keep learning. Diesel Equipment Technology graduate John O’Connell was selected for the Provost Award, a recognition given to a student who has demonstrated high academic performance, exceptional character and student leadership, and who has influenced their peers to strive for excellence. 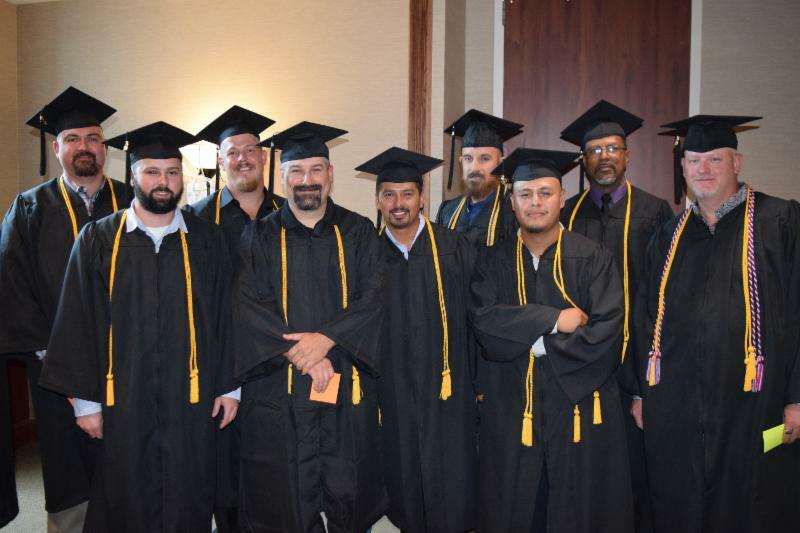 Among its summer graduates, nine Gerdau employees earned their associate degrees in Industrial Maintenance. The graduates attended classes while working full time. Jeremy Crowder, an electrician with the company, graduated with a 4.0 GPA. He believes that the company investing in educating employees saves on-the-job training time. TSTC in North Texas graduates earned degrees in eight of the programs offered at the campus — Computer-Aided Drafting & Design Technology, Computer Networking & Systems Administration, Diesel Equipment Technology, Electrical Power & Controls, HVAC Technology, Industrial Maintenance, Logistics Technology and Welding. Fall classes begin Monday, Aug. 27. For more information on TSTC, visit tstc.edu. This entry was posted in North Texas on August 20, 2018 by Debra Gonzalez.